Fall season is perfect for showing off our crochet skills. 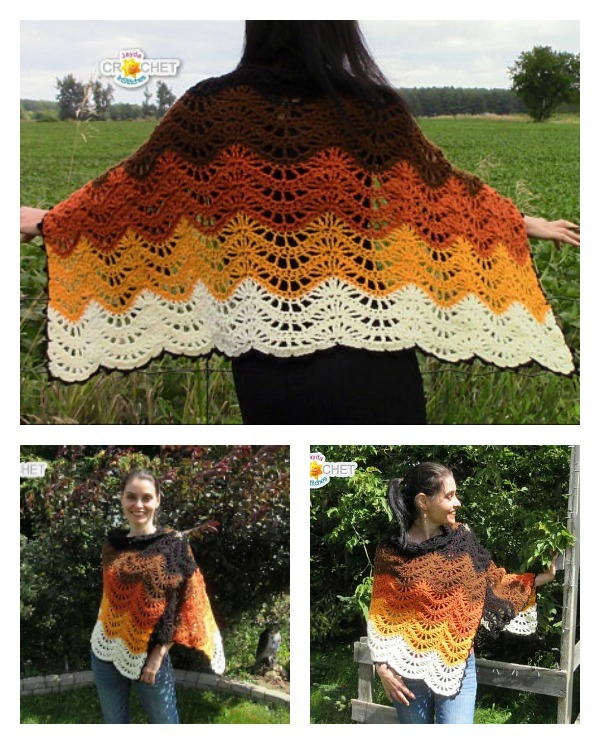 This Autumn Moon Blanket Wrap Pattern is beautiful and easy to crochet. It comes with video tutorial on each and every detail. It is the perfect project for someone who is new to crochet. You can wrap yourself up in this beautiful Autumn scarf this fall as the weather turns cool. It’s a great addition to any girl’s scarf collection for fall. The colors shown in the pictures below are inspired by the night sky in early fall. You can crochet this fashionable wardrobe piece in your favorite fall colors or in one glorious solid shade. Enjoy. 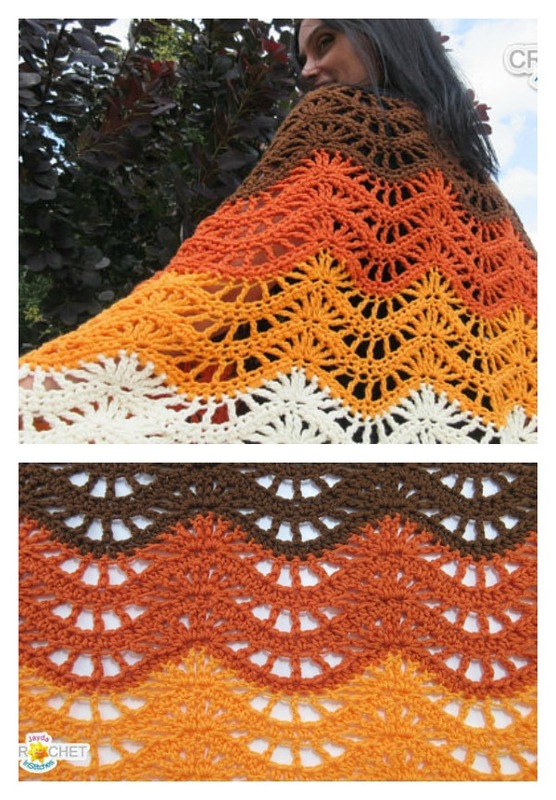 You might also like the Pretty V Scarf FREE Crochet Patterns.